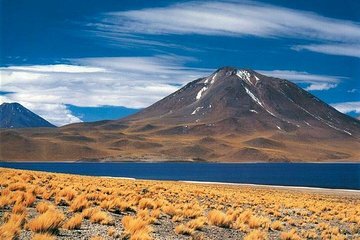 Discover one of Chile’s most unique natural landscapes on this 10-hour tour from San Pedro de Atacama, including hotel-up. Marvel over the stark white plains of the Atacama Salt Flats, see the shimmering Miscanti lagoon and spot pink flamingos bathing in the Chaxa lagoon. Finally, get a taste of life in the Atacama Desert as you visit the traditional villages of Socaire and Toconao. It was okay. I was a bit disappointed with the lagoons...maybe the time of day early morning isn't great to see the blue colours these lagoons are known for.